The Observatory has been informed by reliable sources about ongoing obstacles to freedom of movement faced by Ms. Nedal Al Salman, Acting President and Head of Women and Children Rights at the Bahrain Centre for Human Rights (BCHR). According to the information received, on November 26, 2017 at 2 pm, Ms. Al Salman intended to board a flight to Toronto via Dubai at Manama International Airport. After she was successfully checked-in, she was stopped at the emigration desk, her passport was seized by a policeman, and she was told to wait. After one hour, the policeman came back to Ms. Al Salman to inform her that she “[could] not travel as [she was] under travel ban”. When asking the reasons for such a ban, the policeman answered that he had no idea, and that she “should check with the Public Prosecution Office”. This travel ban will prevent Ms. Nedal Al Salman from attending the European Union (EU)-NGO Forum on Human Rights on December 5 and 6, 2017 in Brussels, where she had been invited by the EU. Ms. Nedal Al Salman has already been banned from travelling several times since August 29, 2016, and most recently in April and June 2017, ahead of sessions of the United Nations Human Rights Council (UN HRC) in Geneva (see background information). On September 19, 2017, she was summoned and charged by the Public Prosecution for “illegal gatherings” under trumped-up charges stemming from the new Anti-Terrorism Law, and placed under a formal travel ban. The Observatory strongly condemns the ongoing travel restrictions imposed on Ms. Al Salman, which is further evidence of constant reprisals conducted by the authorities against human rights defenders in Bahrain. The Observatory recalls that more than 20 human rights defenders have been prevented to leave the country earlier this year, as a clear attempt to sanction their human rights activities (see background information). The Observatory urges the authorities to immediately and unconditionally lift the travel ban against Ms. Al Salman and other human rights defenders in Bahrain, and to put an end to all acts of harassment, including at the judicial level, against them. 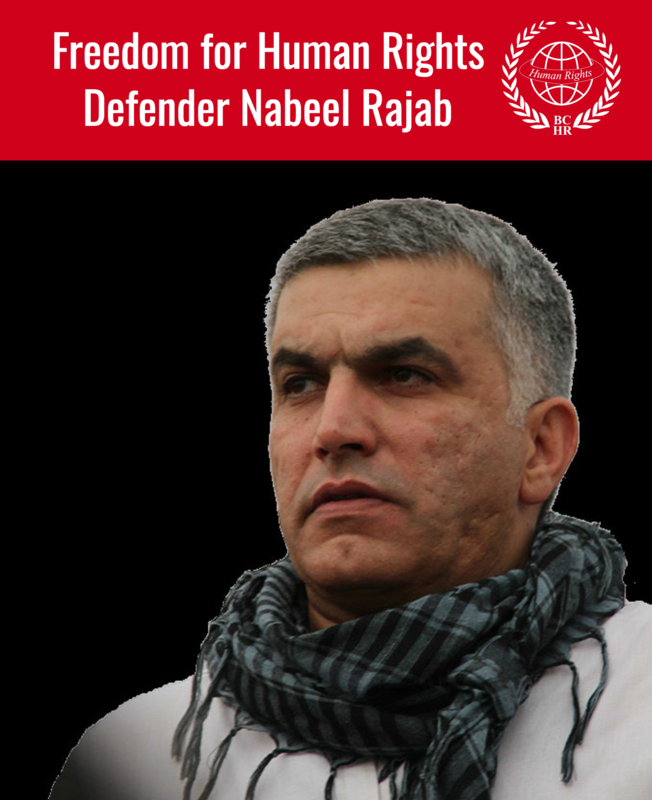 In April 2017, a new wave of summons and travel bans targeted at least 18 human rights defenders, including members of the BCHR, the Bahrain Human Rights Observatory (BHRO), the Bahrain Human Rights Society (BHRS), the European-Bahraini Organisation for Human Rights (EBOHR) and Salam for Democracy and Human Rights (Salam), as well as four political activists. Between April 20, 2017 and April 26, 2017, 22 human rights activists, including four BCHR members, Mr. Enas Oun, Mr. Ahmed Al Saffar, Mr. Hussain Radhi and Ms. Nedal Al Salman, as well as BHRO member Ms. Jalila Al Salman, along with BHRS member Ms.Zainab Al Khamees, EBOHR member Ms.Fatima Al Halwachi,Salam member Ms. Ebtisam Al Sayegh, human rights lawyer Mr. Mohamed Al Tajer, journalists Ms.Faisal Hayat and Mr. Ahmed Radhi, Ms. Zainad Mohamed, Ms. Riyhanna Mosawi, Mr. Talal Salawi, Mr. Monther Al Khoor, Mr. Sayed Hadi Al Moosawi, doctors Mr.Taha Al Derazi and Ms. Rulla Al Saffar and four members of the political society Waad were all summoned to appear before the Public Prosecutor for interrogation. The 22 individuals were all accused of supposedly participating in “illegal gatherings” in the city of Deraz on January 6 and 14, 2017. Yet, none of the 22 participated in such alleged gatherings. Travel bans have been issued against the 22 individuals. The Observatory fears that the travel bans were preventively issued against the 22 individuals to prevent them from attending Bahrain’s Universal Periodic Review to be held in Geneva from May 1 to May 5, 2017 before the UN HRC. iv. 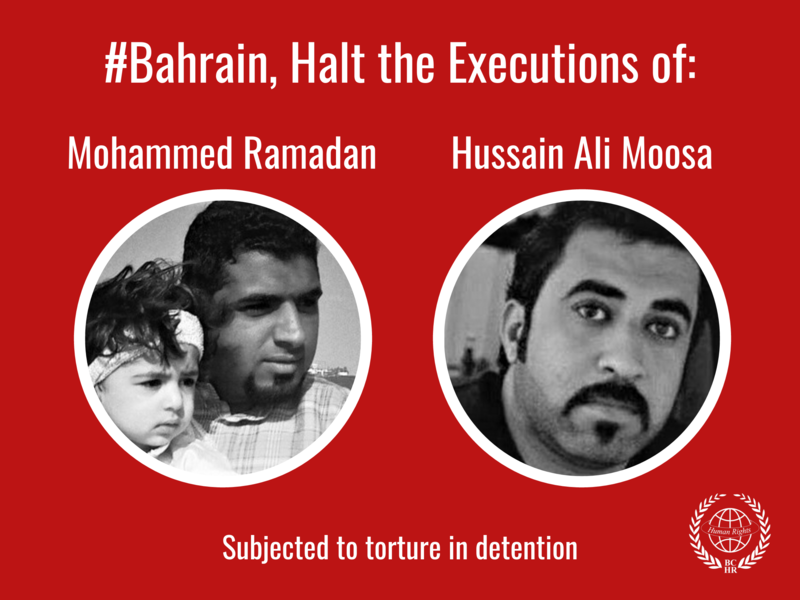 Ensure in all circumstances respect for human rights and fundamental freedoms in accordance with international human rights standards and international instruments ratified by Bahrain. Ms. Rulla Al Saffar is the former President of the Bahrain Nurses Society.